A former high-ranking Pakistani politician with Canadian citizenship, Dr. Asim Hussain, is being held in Karachi on trumped-up political charges, supporters say. A former high-ranking Pakistani politician with Canadian citizenship is being held in Karachi on trumped-up political charges, supporters say. Dr. Asim Hussain, a 62-year-old orthopedic surgeon with family and property ties in London, Ont., was arrested in late August by paramilitary Pakistan Rangers for allegedly financing terrorism through his hospital. While in custody of the Rangers, Dr. Asim, as he is known, was forced to stand up all night in a dark room while blindfolded with his hands tied, supporters say in a brief on his case. He went into kidney failure and had a heart attack. New York-based Human Rights Watch recently highlighted Dr. Asim's case in declaring that the Rangers — a security force operating under the Pakistan army — have been implicated in serious rights abuses, including torture and other ill-treatment of criminal suspects, extrajudicial killings and enforced disappearances. The independent Human Rights Commission of Pakistan expressed "grave concern" in late March over a report about the deterioration of Dr. Asim's mental health. He is now in custody at a Karachi hospital. Born in Pakistan, Dr. Asim, his wife and two children moved in the early 1990s to southwestern Ontario, settling in London. All four became Canadian citizens. Dr. Asim ran a travel agency and invested in some property, but did not have the needed Canadian credentials to work as a doctor. He returned to Pakistan and established one of the country's largest hospital groups. Dr. Asim's purported misdeeds range from the outrageous to the absurd, the brief says. "He is being accused of everything from manipulating the stock market to financing terrorism to manipulating his hospital trust for personal gain." He denies all accusations against him. Supporters — speaking on condition of anonymity for fear of reprisals — say Asim is being targeted by the current government for "political reasons" because he was a cabinet member under former Pakistani President Asif Ali Zardari. In addition to arresting Dr. Asim, the Rangers raided his hospital, harassed staff and removed confidential medical records, the brief says. "Several hospital employees close to Dr. Asim were also wrongly detained, tortured and threatened." Citing the principle of "medical neutrality," the supporters say it is a dangerous precedent to allow doctors to be targeted by governments, military or paramilitary personnel in an effort to arrest or detain alleged terrorists under their care. 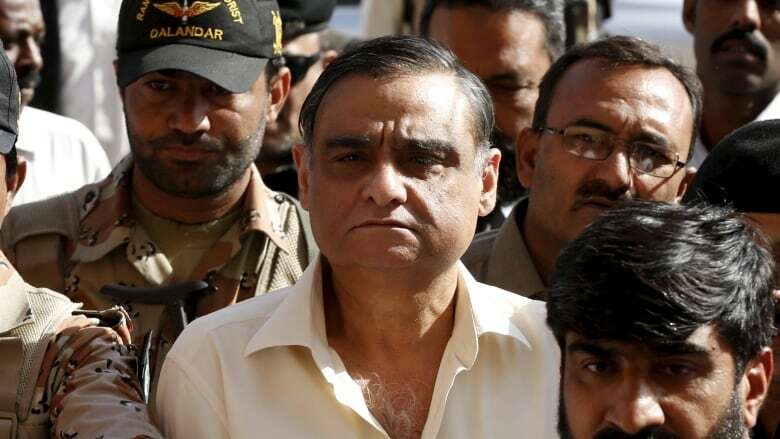 Dr. Asim should be granted bail and he has the right to a "fair, transparent and speedy trial" that is not tainted by political pressure or biased media coverage, the supporters say.